U.S. warns Europe. The U.S. government warned the European Commission it’s overstepping its powers in its investigation into unpaid taxes from multinational companies including Apple. Brussels threatened to demand as much as $19 billion from Apple for alleged unpaid tax. The Commission rules next month on the case and insisted there is "no bias against U.S. companies" in its investigation. Solo contract ended. 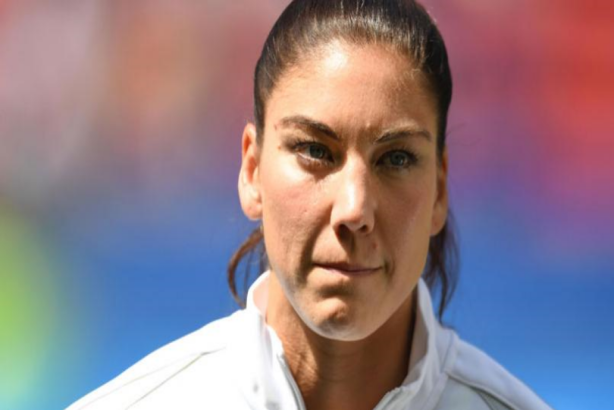 U.S. Soccer ended the contract of controversial goalkeeper Hope Solo yesterday for "conduct counter to the organization’s principles." Solo, 35, called Swedish players "cowards" after the U.S. was eliminated by them on penalty kicks in the last 8 of the Rio Olympics two weeks ago. Solo was also suspended from the women’s national team for six months, which could effectively mean the end of her career in the U.S. team. "Bonk boss" apologizes: Married Lloyds Banking Group CEO Antonio Horta-Osorio apologized to staff for "adverse publicity" from reports he was accompanied by a lover on a business trip. A memo, reproduced on the BBC’s website and other media, was published on Lloyds’ intranet, but some journalists were shown the statement and the bank, in the midst of cutting 3,000 jobs, provided it to media on request. Sorrell Brexit hopes. WPP founder and CEO Martin Sorrell told British media he hopes the British Prime Minister Theresa May will say before the next U.K. general election that the country needs another referendum "now you’ve seen the deal." Trump watch: Former UKIP leader and Brexit campaigner Nigel Farage appears with Trump at Jackson, MS rally; in Tampa, Florida, Trump pitches for African-American and Hispanic votes in front of mainly white audience; the Republican nominee also softened his line on immigration as he attempted to stick to a more positive script. Clinton Foundation rethink. The eponymous foundation may reconsider plans to stop accepting donations from corporation and foreign governments. Former President Bill Clinton will step down, but the Clintons’ daughter Chelsea will stay on the board. Vice founder on youth. Media owners need to keep up with the younger generation or "risk alienating" them, Shane Smith, the founder and chief executive of Vice told the Edinburgh International Television Festival in the U.K. yesterday. GE targets geeks. GE and its agency Clemenger BBDO Sydney are running a global ‘Geeks Go For Gold’ competition activation aiming to demonstrate the power of the industrial internet, after a similar one ran solely in Australia and New Zealand last year.